Resources http://grasswa.com/wp-json/oembed/1.0/embed?url=http://grasswa.com/i502-vendors/ JOIN OUR NEWSLETTER // Sign up today for our monthly Nevada newsletter. The long awaited Nevada Department of Wildlife 2016 Nevada Chukar Forecast indicates both an increase and decline in chukar population across the state. According to NDOW, fairly significant increases were observed during aerial surveys in the Sheep Creek, Lava Beds, and Double H transects. Notably, the Argenta plot survey indicated a 125 percent change increase from 2015. Unfortunately, other transects did not measure up as well. Declines were noted in Pine Forest, Sonoma, Izzenhood, and Granite transects. Surveys on the Santa Rosa transect indicates a 66 percent decline in observed density from last year. Possible reasons for the decline in some areas are due to ongoing years of drought stressing water sources, as well as last year’s extensive wildfire destruction throughout the Izzenhood mountain range and Virgnia Mountain Fire complex. With this year’s count 28 percent above the long term average of chukar density, there still is reason to believe this year’s season will be worthwhile as usual. 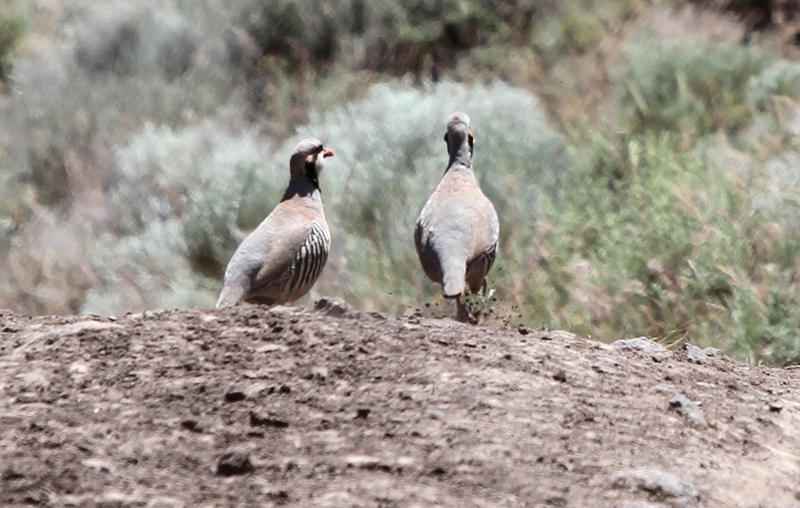 It’s time to start planning for Nevada chukar season’s opening day, Saturday, October 8th.